We’d love your help. 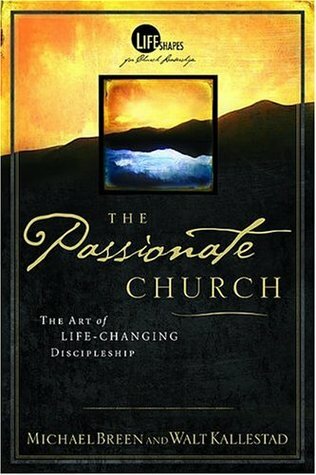 Let us know what’s wrong with this preview of Passionate Church by Mike Breen. In an increasingly visual culture, these eight memorable shapes teach life-changing principles of discipleship that can be used to equip people to live a passionate life for Christ and to help leaders to lead as Jesus intended. To ask other readers questions about Passionate Church, please sign up. This was a pretty easy read with some interesting ideas on growing a church. I especially appreciated the thoughts on personal evangelism and how they made it less intimidating. It made me think without using really challenging words. Good book about the pace of life in connection with discipleship and disciple making.